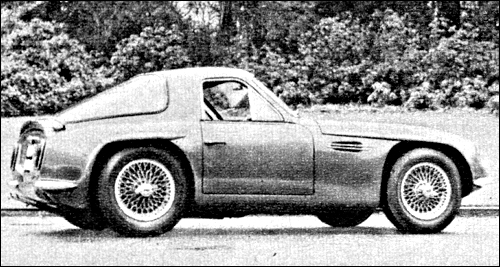 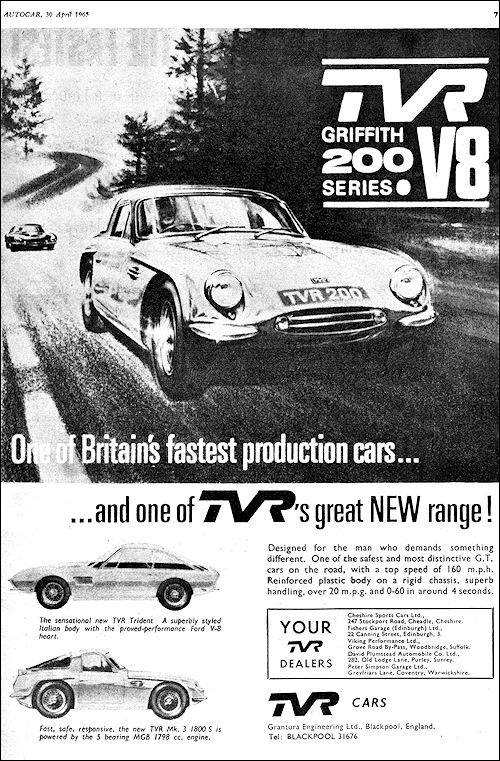 TVR builds a plastic coupe Mk III 1800 S with MG engine or more recently as Griffith 200 with 4.7 liter Ford V8 engine. 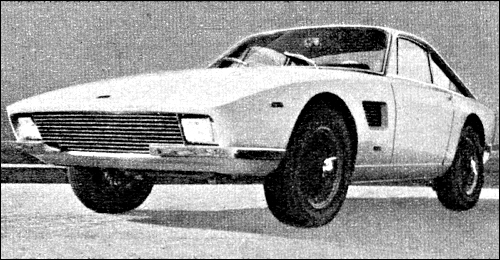 New is the Fissore with an aluminum body provided model Trident, also with 4.7 liter Ford V8 engine. 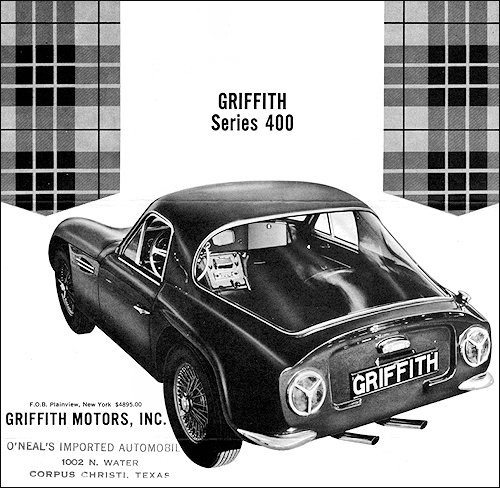 Griffith Series 400 assembled in the USA by Griffith Motors Inc. of Syosset, New York. 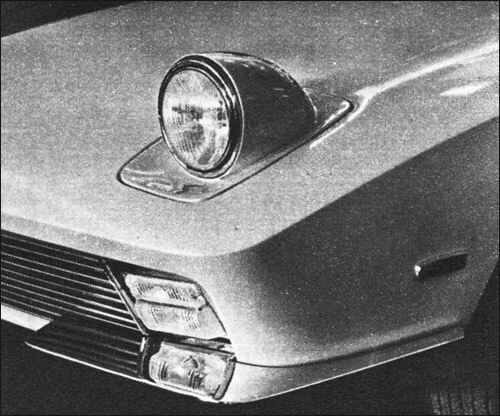 Power by Ford 289 V-8 of 271 HP.